This little wallet is a great way to give gift cards, keep your gift cards or rewards cards organized, make a quick trip to the store with essentials only, keep an emergency card in the car with some cash and change. Use it to make an impression on someone you need to pay. Have the cash in the pocket ready for your hairdresser or manicurist. They will remember you and your thoughtfulness. Keep several made up and handy. It’s a quick sew for last minute gifts. • 1/4 yard of fabric (Either full quarter or fat quarter. 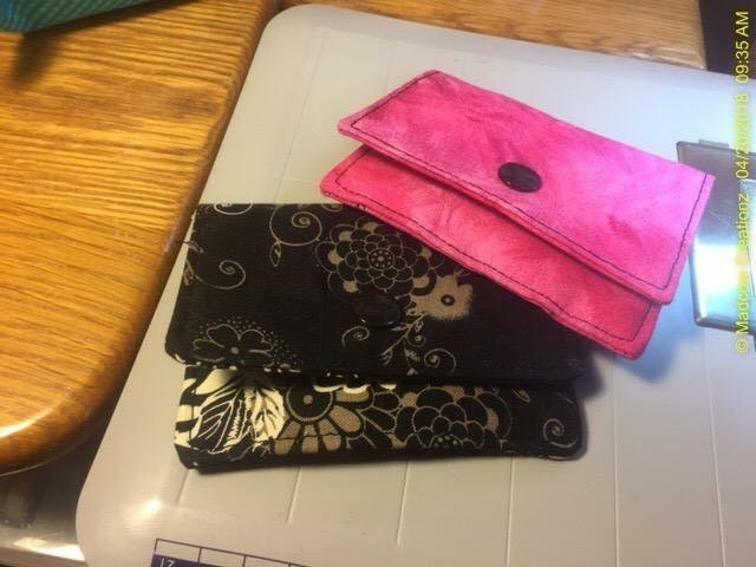 Fat quarter will give you enough fabric for 2 wallets, a full quarter yard will give you enough for 3 wallets). You might want to check this Accordion Fabric Wallet, too! Love Teeny Wallets! Whenever I make a garment, I use the leftover fabric to make a matching accessory such as a wallet or tote to complete the ensemble. Thank you . On side note—I could not open the link to the Accordion Fabric Wallet. I am using a Mobil device .